London's most famous shopping street is always overflowing. 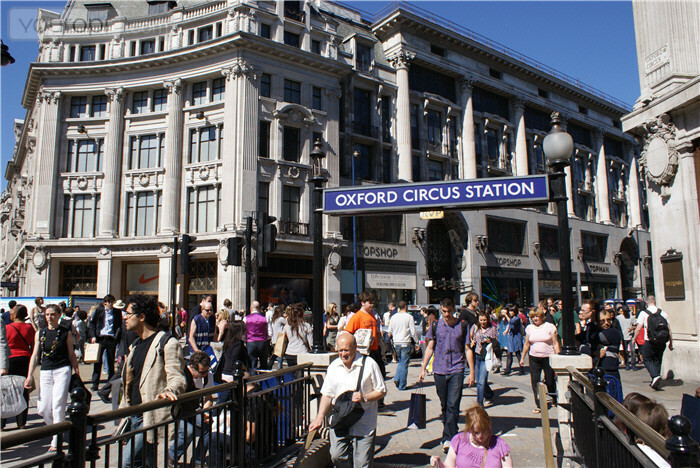 More than 200 million people visit Oxford Street every year. It's at its busiest during the weekend and in the run up to Christmas and New Year. The street starts at Tottenham Court Road and finishes at Hyde Park. It's home to some of the big retailers including Topshop, MarKs & Spencer, Zara, H & M, Mango and more. Just beyond Oxford Circus towards Hyde Park you will find major department stores including famous Selfridges. The street is a must for anyone who really loves shopping but a no go for anyone who hates crowds. Late night shopping on Thursdays and shops on Sundays from 12.00. Tubes: Oxford Street, Bond Street and Tottenham Court Road.